WordPress is an open source CMS, with plug-in architecture and template system. It is mostly used for blogging and other types of content. Contrary to Laravel which is a PHP framework mainly used for developing web applications and websites. Well, you must be thinking about which system should be used for best practice? WordPress is the most popular CMS in the world, offering more than 55,000 different plugins, used to modify themes or to create a website from A to Z. On the other hand, Laravel deals with more complex tasks and makes them easier for developers. Thus, the importance of Laravel comes handy in the development of applications. Let’s have a look at the similarities & differences between these two systems. Here comes the most important question, which one is best for you? The answer is that according to your background and the aim of your website, you can figure out, which system to use. If you are a non-tech person, with no background in web development, you will have to consider WordPress as your business partner! WordPress is a tool that will help you in managing your business on the long run, it will give you access to all the plugins that will make your job less consuming, like installing the SEO plugins. In addition to the fact that WordPress is a search-engine friendly platform, this will give you a chance to have higher online visibility. If you are dealing with a more complicated project, for example, a web application. Then you should consider using Laravel. In this case, you should already have a background in developing, and Laravel will make your life easier by simplifying the complex issues in developing the app. 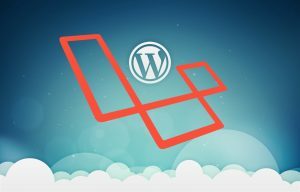 Thus for a complex and weighted application, you have to consider using Laravel. If you are considering to launch an e-commerce website. You should take into consideration the complexity of your shop. If you will sell less than 10,000 products (Simple Online Shop), you should use the WordPress WooCommerce plugin! However, if you are building a complex shop with more than 10,000 products then you might start thinking to use Laravel. What is the type of your website? When you have the answers to these questions, you will identify the simplicity or complexity of your project and from there you can identify which system best fits you! if you need any help, give us a call!